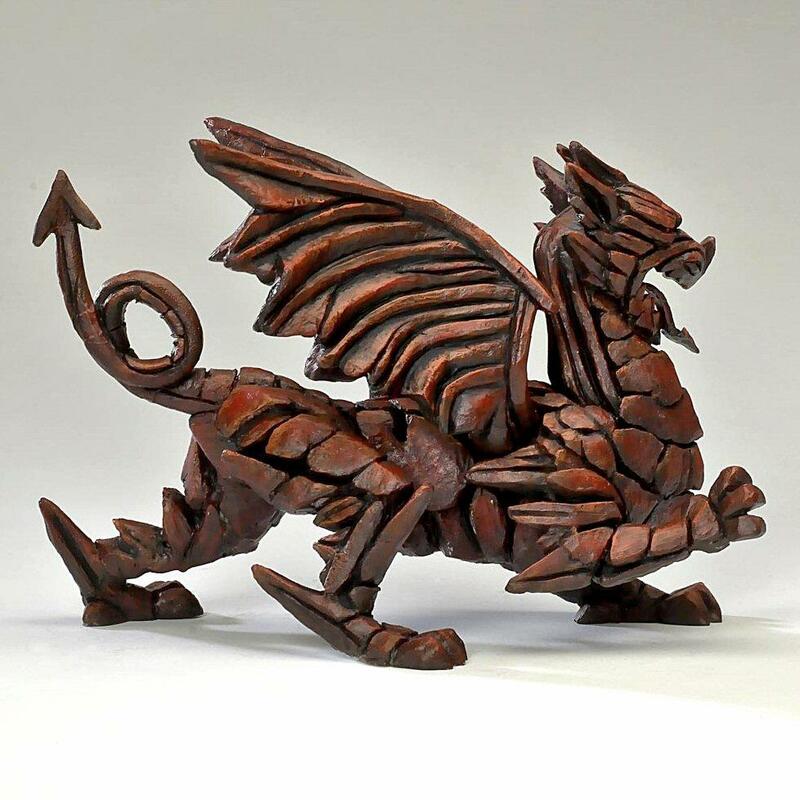 Dragon from the EDGE collection, sculpted by Matt Buckley. For centuries dragons have been part of the mythology and folklore of many countries around the world. They take on different forms depending on the region but in most cases they are depicted as a large, fearsome, four-legged lizard or serpent with bat-like wings and a long tail - many having the ability to breath fire. In recent times they have come to the fore of popular culture through film and TV; notably Game of Thrones and J R R Tolkien's The Hobbit. 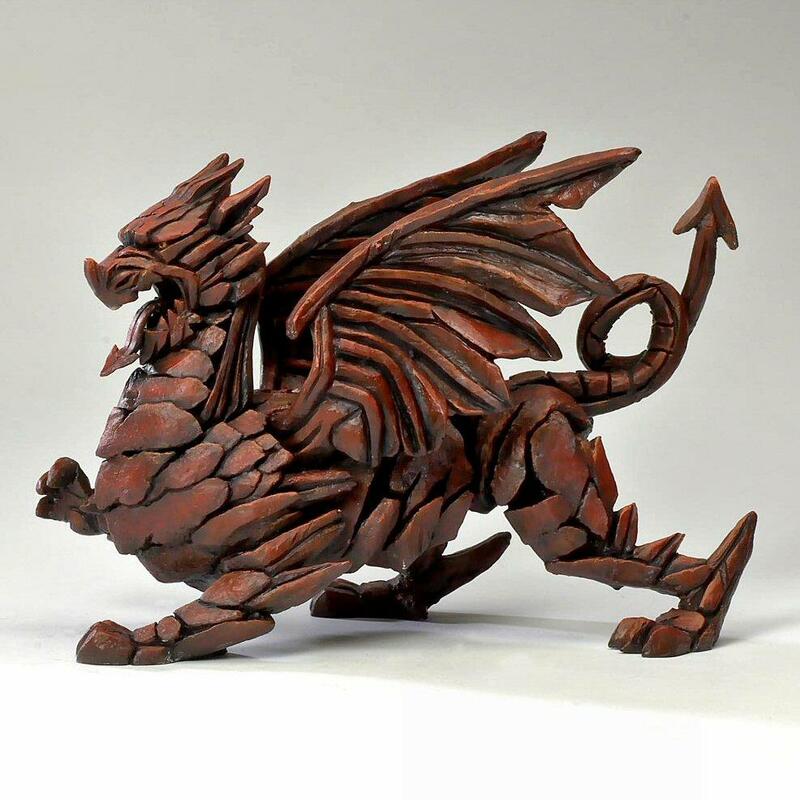 Matt Buckley's sculpture echoes closely the heraldic dragon that appears on the national flag of Wales - its origins are thought to go back as far as the 7th century. We also have the same sculpture in green - DRAGON in GREEN ED03G.